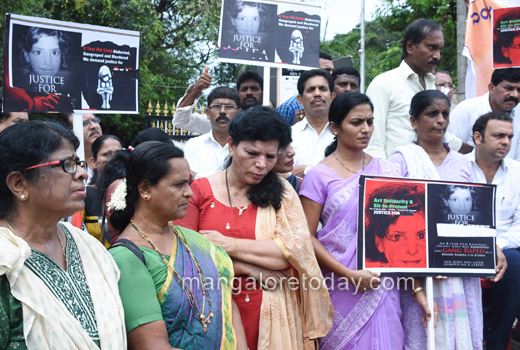 Mangaluru, Apr 17, 2018 : The Mangaluru South Assembly constituency unit of the Congress staged a protest in front of the DC office here on April 17, Tuesday to condemn the Unnao and Kathua incidents. 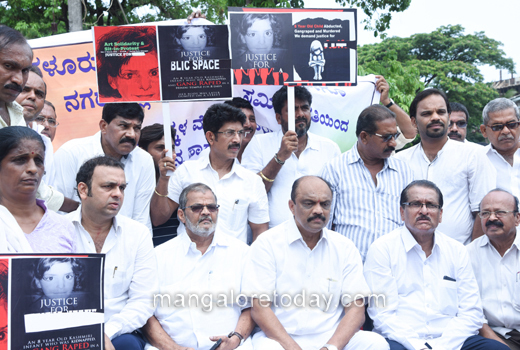 DCC Chief Harish Kumar said one cannot expect peace and order under the rule of the government of a party which was responsible for genocide in Gujarat. 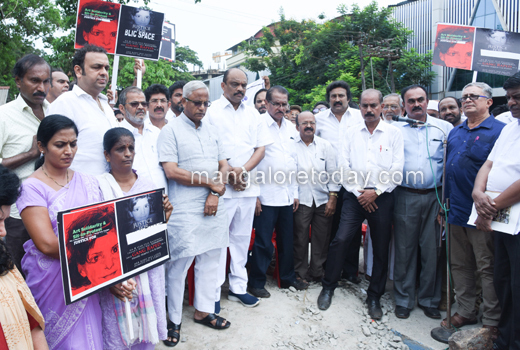 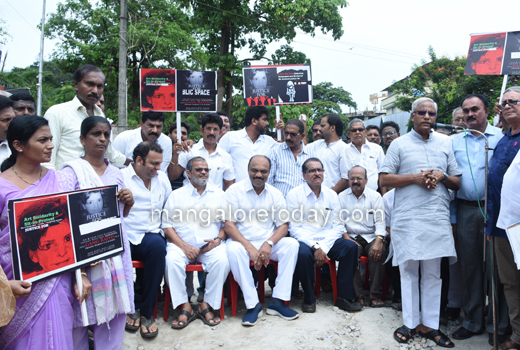 Kallige Taranath Shetty, District Congress Spokesperson, former mayor Mahabala Marla, Ibrahim Kodijal, Praveenchandra Alva, B G Suvarna, T K Sudhir, Vishwas Kumar Das and others took part in the protest which commenced with a silent prayer.